What I like about these coffee journals is that they offer a way of helping others. 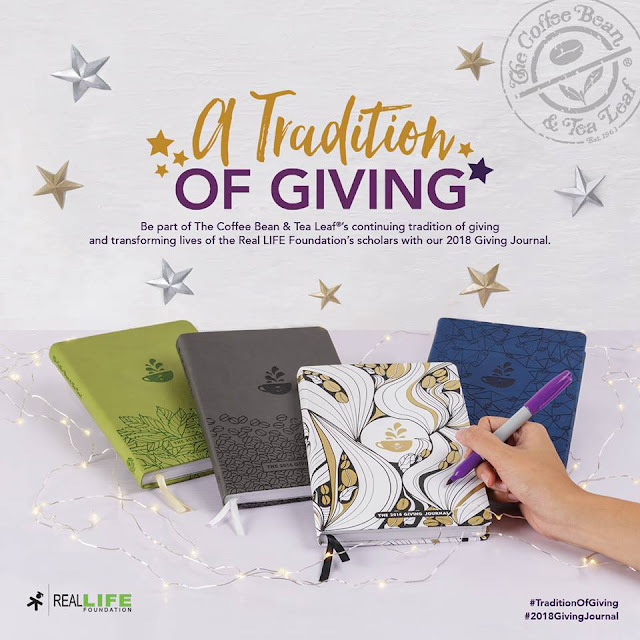 The Coffee Bean and Tea Leaf's journal supports the Real Life Foundation's legacy of transforming lives. The journals are available in colors of green, grey, and blue, with premium designs on them. As this is also their tenth year of helping, they also offered a cover for which an individual may customize it and release their creative side. Similar to last year's and years before that, the 2018 Giving Journals are redeemable by collecting 12 stamps any any Coffee Bean and Tea Leaf branches nationwide. Available starting October 21, 2017. For the full mechanics on these journals, click here.